It's never a good idea to leave skis sitting directly on a concrete floor for any length of time. Porous concrete can release moisture, which can then lead to rusty ski edges and rusty ski binding parts. 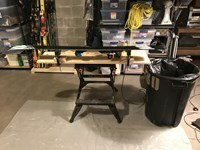 So with that in mind, I wanted to build a simple ski rack rest to keep my skis off the cement floor in my garage after a day of skiing. 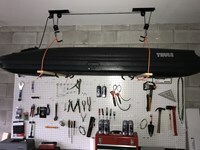 I'll take my skis out of my Thule box, and place them on this 2x4 rest, to help skis to dry out, as any snow / water drains down the skis and then through the middle of the 2x4s. Thus, this ski rack rest keeps my skis up off the ground so they aren't sitting in a puddle of water directly on the concrete. 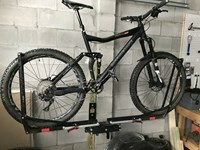 In the off-seaon, I can use this ski rack rest to store my skis in my basement and keep the ski tails up off my concrete basement floor. 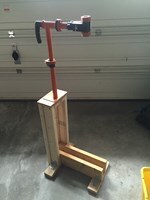 To build this simple ski rack rest, all you really need is a 2x4 and 8 screws or nails. I used a 2x3 for the bottom two cross pieces that sit directly on the ground and hold the top 2x4s together, but you could just use a 2x4s for the bottom pieces as well. 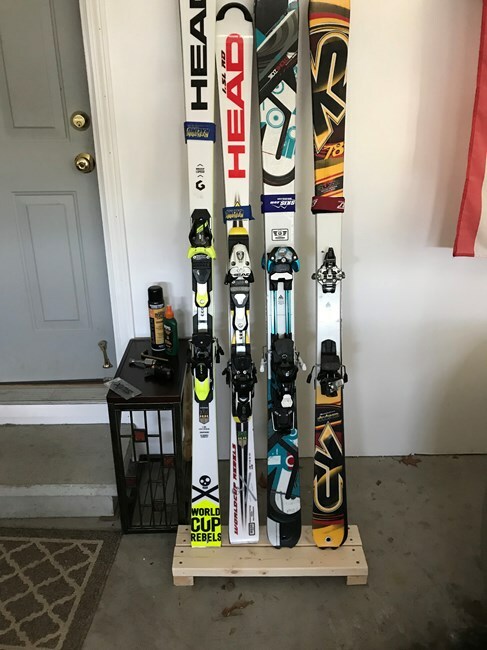 This two foot length ski rack rest holds 4 pairs of skis, but if you have fat skis you'll want to build the rest longer. 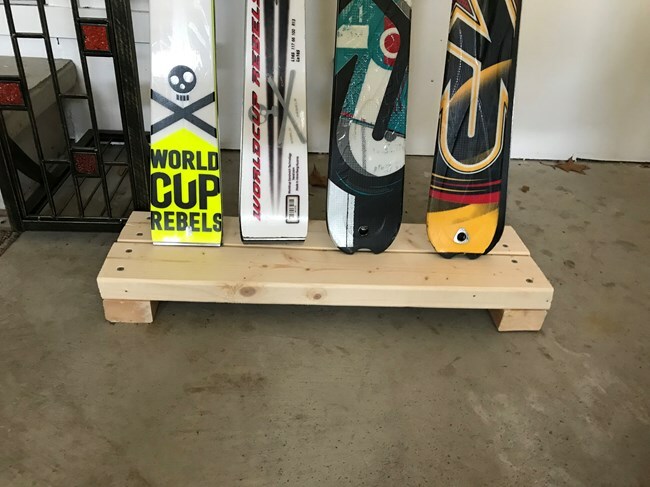 I also built a second ski rack rest that's three foot long to store additional skis in my basement.